Often people work for years without ever being tapped for a promotion or some sort of appreciation for long service. This may prove very demotivating to the person. Others choose to stay in the positions because they feel that that is where they can do the most good. In this instance, the companies provide some sort of appreciation. 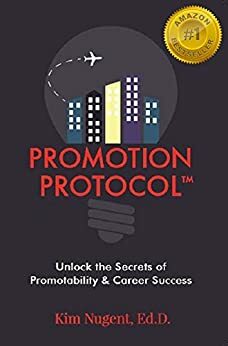 This book helps the reader unlock those promotions and appreciations. It helps the reader gain confidence and gain effective communication skills. By applying each one of the tips provided in Promotion Protocol, one can not only become an inspiring person to work with but also a beloved team leader. The tools are practical and simple enough to follow. Dr. Kim Nugent highlights the difference between training and coaching and how the latter is more advisable in an organizational setting. This book is a road map to a more cohesive, more productive, and more beneficial relationship between supervisor and employee. Dr. Nugent talks about her experience in numerous positions. One particularly important point is the failure of supervisors to appreciate the uniqueness and freshness of the new generation. Their failure to involve the new generation in the administration aspects of the job so that there is a continuous supply of talent to pick from when the time comes for management positions to be refreshed. This is very important. It is something that both managers and employees can learn from. This is not the only instance of the author using her life experiences. These real life stories make for a great learning experience. One is able to learn lessons that stick. She does not window dress either. She lays out her mistakes too. Her ability to realize when she made a mistake is uncanny and inspiring. The author gives little alphabetized nuggets. These nuggets work like a mnemonic device. It enhances the understanding of subject matter for the reader. 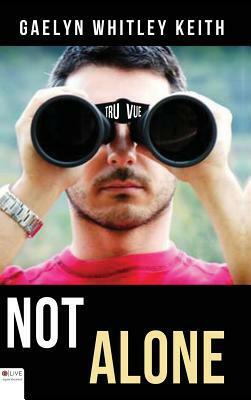 This is not a book to merely skim through. It holds many important points that could be instrumental in the path to professional success. The alphabetical resource is absolutely wonderful. The author has also written the book in a friendly tone. It is engaging. It is conversational. It is not condescending or intimidating. While most cannot reach Dr. Nugent and request mentoring, this book is written in such a way that one feels like they are drinking from the very faucet of advice. The book is in need of at least one more brush over from an editor. There are several instances of misspelled words and awkward sentences. Otherwise, everything else is good. These little mistakes do not take away from the experience. They do not drop a chip off the gem. Are you ready to succeed? Are you ready to get out of your own way? Are you ready to be the best that you can be? This book is for you. It will not lecture, it will coach. It will mentor. It will nurture. West bEgg: the world’s new power elite centers on the narrative of four main characters; Luca, Anna, Carolina, and La Revolução. The first three characters are assistants working for demanding, ruthless, and utterly annoying bosses, while La Revolução is an architect who works under her own annoying boss as well as beside his self-righteous daughter. The main theme that connects these characters is that they all seem to hate their jobs, and the daily tasks that they are given. All characters and their bosses are brought together at The Fanta Party where, despite endless preparation, disaster strikes out of the blue. Mari.Reiza does a beautiful job of crafting each character for the reader. While they are all united in their disdain for their bosses and perhaps even depression at their personal lives, the characters are in fact, completely different individuals. Luca knows he is a punching bag and keeps this mantra rolling on repeat throughout the short novel. Anna would never imagine standing up to her boss, and goes out of her way to make sure that everything is perfect, while Carolina is perfectly okay with getting on her boss’ nerves, yet cries to anyone that will listen about how terrible he is. And then we have La Revolução, who seems to be the most interesting out of all these characters. She is not an assistant, but she is tasked with working with Irajá, the boss’ spoiled daughter, who is more trouble than she is worth. In a way, La Revolução is an assistant to Irajá, but her ultimate concern seems to be with ‘living the dream’. This could be acquainted to actually making a difference with her life’s work, rather than building parking lots or destroying properties that act as safe houses for abused women. Each of the characters’ stories are told through their own point of view in each chapter. The reader will read about Luca’s experience of tending to his boss’ needs, then the next chapter might switch to Carolina crying on the shoulder of a sympathetic listener. The author does a great job of leading the reader up to the moment of The Fanta Party, where all of these characters will meet. However, this is where it falls flat for the reader. As carefully planned as it might have seemed, the party meets with disaster and we find the assistants running around trying to piece everything back to together like always. It seems that the misdoings of each boss has come back to wreak havoc on this party, and the assistants are the ones left to clean up the mess. It’s all very rushed through. I felt that much of the novel detailed the daily workings of each character, only to rush onto the climax of the story and not spend enough time fleshing out what I thought was the most interesting part of the novel. This novel should definitely be applauded for the difficult positions in which it places its characters, but overall, more details and a greater climax would have been welcomed. I loved the detailed character descriptions and the authors grasp of nuance in character development. 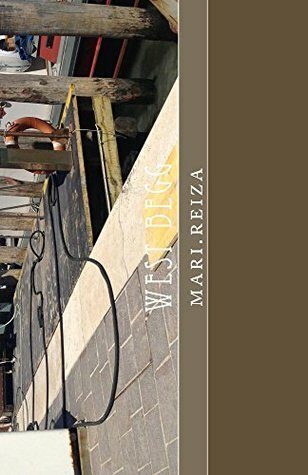 West bEgg is a fascinating piece of fiction that colorfully reveals the lives of the upper class. Not Alone is a modern retelling of the biblical story of Job, in which a man’s faith in God is tested by having everything but his life taken from him – his family murdered, his crops burnt, livestock slaughtered, and his physical self covered in boils and sores. Not Alone brings this story into a modern-day setting with Joe Moretti as Job. Joe, with his wife and five children, is mostly content with his life and hopes he is a good person. However, unbeknownst to him, there is a war being waged for his soul between the highest of angels and the lowest of demons. Joe suffers similarly to Job, and has most everything ripped from him. He and his wife must suffer immense pains to see if humanity and faith itself can survive anything. The novel has a lot going for it, but it’s held back in many regards. There is an intelligent sincere voice in this novel, but there are many spelling and grammar errors. Many of the scenes are thought provoking, but there are jumps between narration that cause the reader to stop and ask what is happening. The overall pacing hinders otherwise great character development – the jumps in dialogue and setting cause far too much friction to enjoy the areas of the book where the flow moves the reader well. The story really draws you in with the depth of characters and tense scenes, but there is a lack of focus – the book will take its time to describe the visuals of the various angels and demons in the war for Joe’s soul, but then rush through other crucial scenes. A good example of this is when the news of his business being nearly destroyed hits Joe the same time as he is told that his five children have been viciously slaughtered. The whole scene flies by, with the police telling Joe that his children have been murdered in a ritualistic killing and then leaving moments later, with the whole exchange coming off nearly robotic in its utter lack of emotion from either party involved. While the various descriptions help the reader visualize the setting and characters of the story, I often felt that the focus was on the wrong subjects, for example: pausing to inform the reader how tall every single fantastical entity they meet is really hinders the book. I often found myself engrossed in this novel and Joe’s life being torn apart, but I was often thrown off by common terms used in incorrect ways, like saying ‘beamer’ in non-speech text without capitalization to indicate a BMW, or misspelling the main female character of the original Star Wars (it should be Leia, not Leah, it could be that I’m too much of a nerd to even notice this). Not Alone is brimming with potential, there is nothing in here that a good editor cannot fix, so that this novel can be the truly great novel that I know it can be. Not Alone is a re-skin of a morality tale from the Good Book; a conglomerate of descriptions; a hope by the author to show how much faith and understanding in a higher power can be pushed to the breaking point, only to bounce back. The author has a fantastic understanding of Christianity and how it can help people.